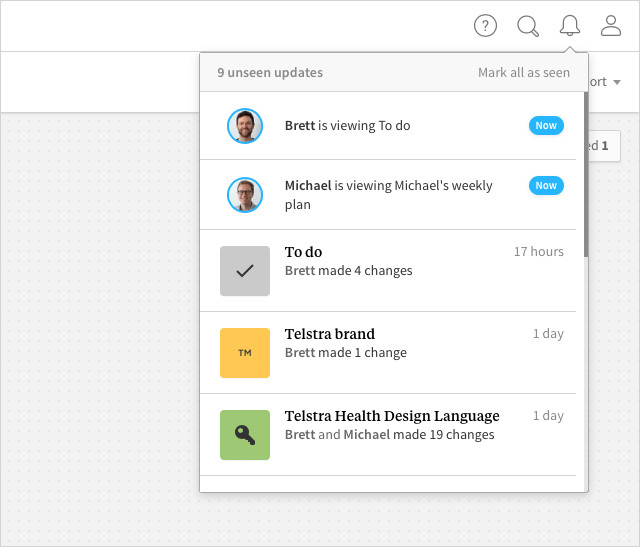 How notifications and email alerts help teams stay in sync. 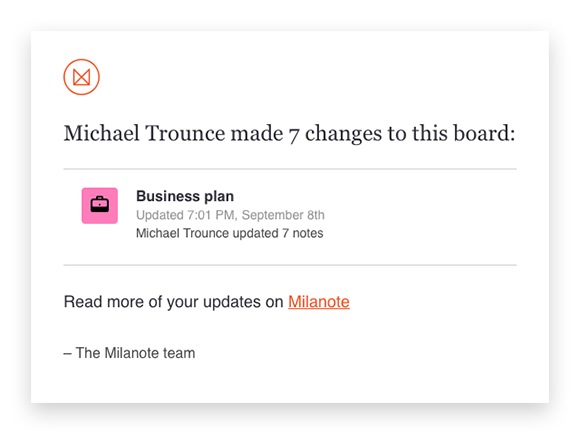 If you're sharing a board with someone else, you'll now get an alert whenever they make changes. Clicking on the alert will take you to the board and show you exactly what they've done. This is a great way for everyone on a team to keep up to date with what's happening. Check the "team" icon in the top right of your screen to view your updates. If someone else makes changes in a board while you're away, you'll get an email letting you know what's happened. You can turn off email updates under your account options.